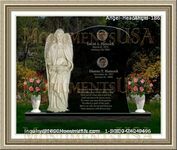 There is the option of incorporating air drying processes as a keepsake of your departed loved one. Due to the expense involved, care should be taken to ensure that the freshest and healthiest plants are sourced for the day. It is a breathtaking option for those who favored roses and simply adds to the honor and elegance of a service. Consulting with the relevant business can provide access to consultants ho may advise on the selection of bouquets. Having to manage the service of a loved one who has passed on is a trying and financially difficult time for many families. Relying on a policy or team of professionals can offer support and advice during this trying time. A rose funeral can deliver a beautiful setting. To ensure that the memory and honor of the deceased is upheld, the flowers should be kept in a cool environment to prevent deterioration. Relatives who wish to create a memento can dry the flowers to last for a long period of time.